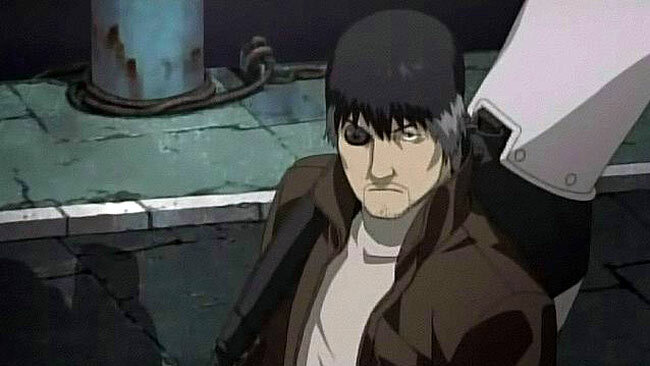 Introduction: I recently saw Ghost in the Shell: Stand Alone Society in its original Japanese without Subtitles. At a cost of over $3.2 million, this lavish continuation of the Ghost In The Shell saga is a feature length movie of the successful Stand Alone Complex TV series. Because I haven’t seen it with subtitles, this will be a different type review than is normally posted here. I don’t speak Japanese, but thoroughly enjoyed this movie. It’s hard to get across just how different this feature-length film is compared to what’s come before it. There’s a lot more atmosphere and quiet calm about it, with less emphasis on action. 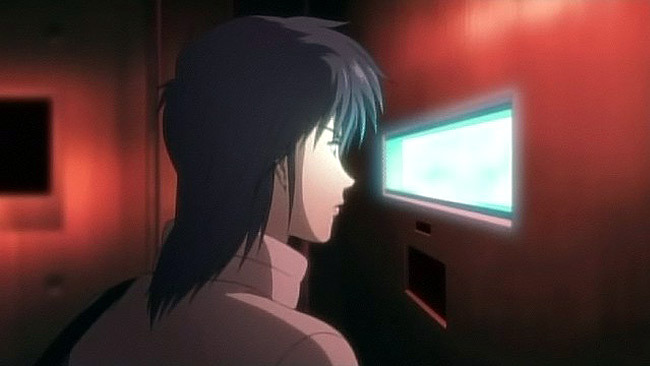 Overview: Ghost In The Shell: Stand Alone Complex – Solid State Society premiered on Japanese pay-per-view television on September 1st 2006. Eagerly anticipated by fans, it is exclusive to its native country. It is not scheduled to reach America and Europe until sometime in 2007! The DVD in Japan is set to be released on November 24th. There’s been no indication of DVD specs. but sales to other countries will sky-rocket, depending if there are English subs or English dub that predates other regions’ releases by up to six months. 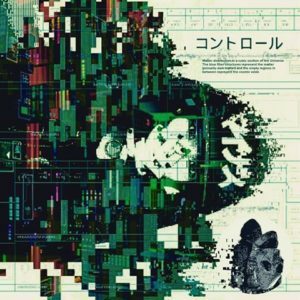 Into The Shell: As an English viewer with no grasp of Japanese, watching Solid State Society was quite a satisfying experience. Good filmmaking and storytelling is supposed to be about images, and this illustrates that you don’t need to know the language to understand what’s going on. We are shown and we see, and we are part of the whole viewing experience. I’m an avid fan of all things Ghost In The Shell and I was keen to set my sights on seeing Solid State Society. This is what I think of it after seeing it twice. It’s a film that gets inside your head and will leave you thinking about it, pondering the meanings for days to come with its advanced visuals. The Sound: Amazing layered soundscapes with movie-style FX that sound really cool. It gives more than a few Hollywood blockbusters a run for it’s aural senses. I’d say that DTS is definitely the order of the day for the DVD. We have digital sound effects that add to the realism, but it’s the little atmospheric details that really blew me away. 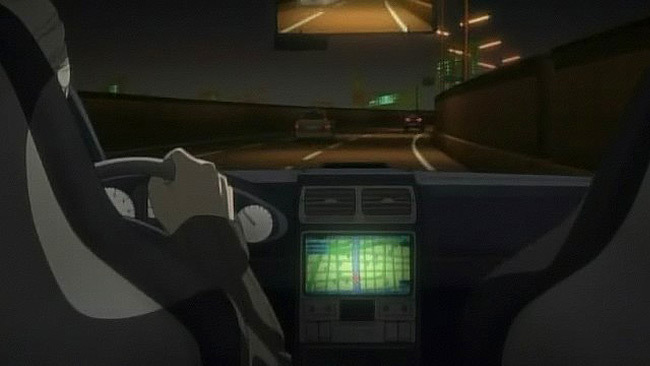 The driving scenes are a perfect example of the impressive sound design that has gone into Solid State Society. It may not have had a theatrical run, but the theatrical nature of the film is evident in the sight and sound of every shot. 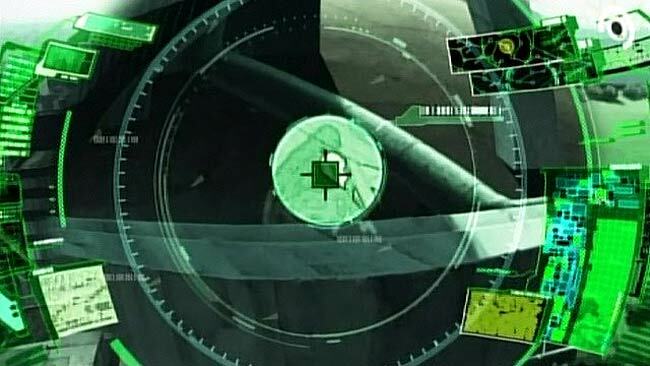 The confrontation of characters in the middle of the film is a perfect example of the use of direct sound, when, at one point, two bullets go head-to-head, in-shot, in-flight – a moment of suspended time that will send shivers down your spine, heightened with standout sound design. The Visuals: Beautiful backgrounds. Light reflections on the characters bring this animated film alive and in a league of its own. 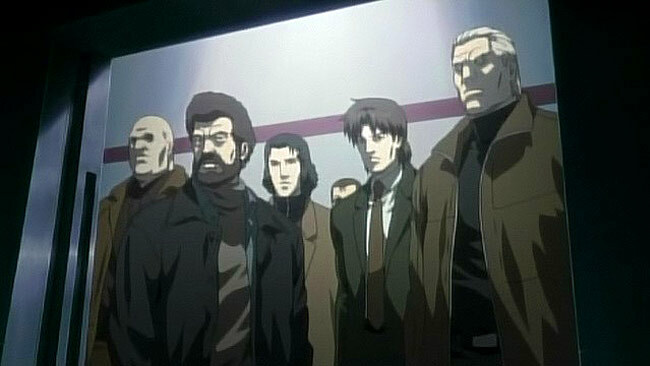 Think Blade Runner style upped a few notches, transferred to anime, and you have the “look” of the film. It’s beautiful! It’s clear a lot of effort has gone into making Solid State Society. The cinematography has a green look to it, very reminiscent of The Matrix, but used more expressionistically with more skill. 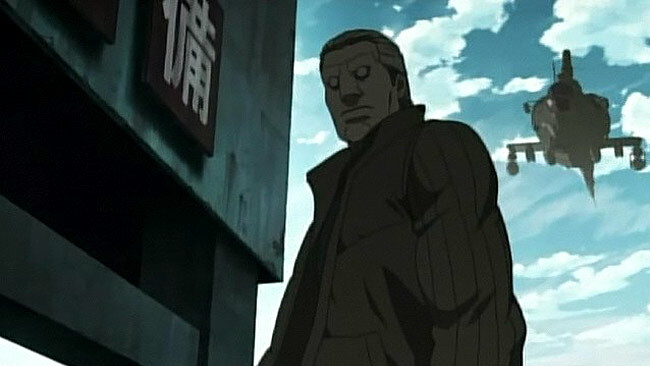 Gone is the yellow-amber look from the series, and the grungy look from the previous Ghost In The Shell films has been replaced with economic realism of a modern Japan. Prominent throughout is the theme of identity, emphasised symbolically with duality shots through most of the film. We have characters reflected in windows and glass, and there is the stark contrast of characters on their own contemplating their fate. There are a ton of computer user-displays throughout and each one has been hand-animated and these are a sight to be seen. They clearly rival any of the transition scenes in The Matrix sequels and look a whole lot better than their CGI counterparts. Some of the angles used are very impressive and we get lots of different perspectives and point of view shots. This is a more immersive experience than the Stand Alone Complex TV series, with more movement and attention to detail that a hefty budget brings. The Style: We get a couple of Nissan’s concept cars thrown in for product placement, and they look very stylish and not over-the-top as you’d expect them to be if it were made anywhere but Japan. The last scene of the film features, I suspect, a product placement for a well-known Japanese soda, but I haven’t a clue what it is! There are a couple of freeway scenes that are simply stunning and I forgot I was watching an animated film! 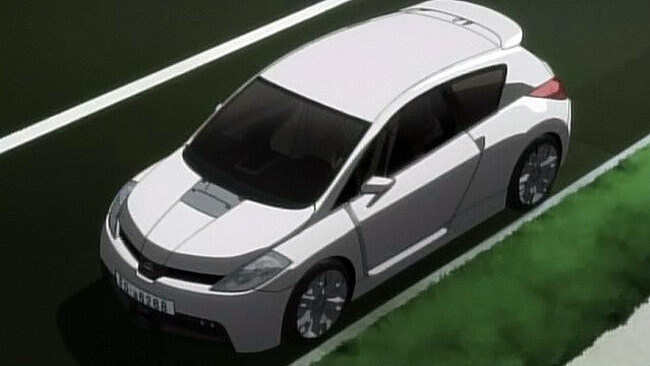 It’s hard to tell whether these are digitally cell-shaded, but I suspect they are, as the movement is very natural and realistic, and the reflections on the cars have a photorealistic dimension to them. That being said, this amounts to about 1% of digital art, the rest is pure traditional animation, and it is perfect! Many of the shots look like paintings and there are lots of dark hues in the background. The attention to detail is paramount here and a lot of care and attention has gone into each and every scene. 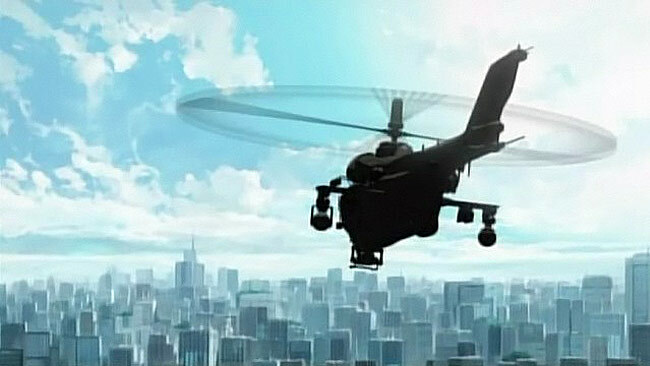 This, for me, is where Anime excels over live-action. Films just don’t look as good as this. Quality is what Solid State Society has in spades. 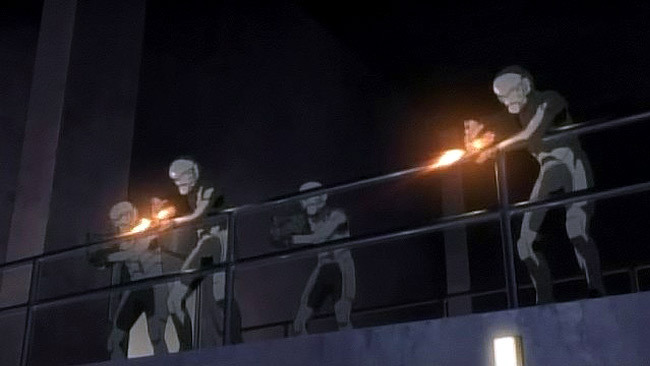 There are over a dozen action scenes and set pieces, each one vastly different than the last adds to an adrenaline-fuelled experience. 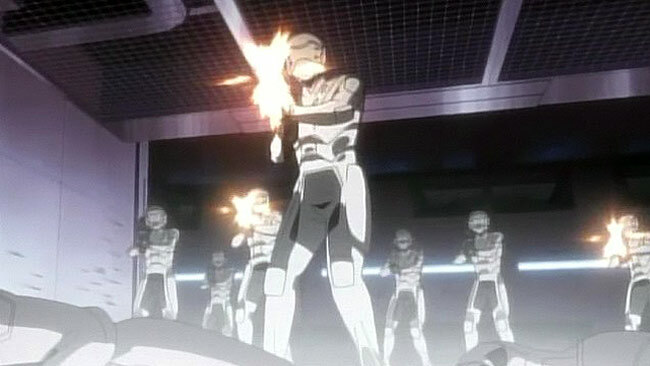 There is lots of shooting, which is to be expected, and a lot of running around and race against time moments. It’s suspenseful and very, very stylish. 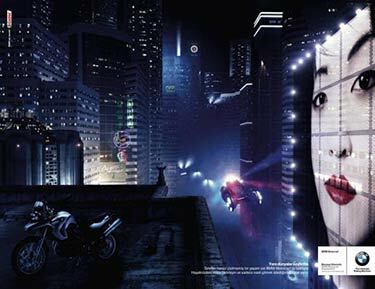 The Cyberpunk: Well it’s all going on here and we are served up a host of subjective cyberpunk antics. We have ghost dives a plenty that rival any of The Matrix hijinks with their internal interface unit that is nothing short of a digital trip. The visual aesthetic of cyberpunk is put to good use with more than a few scenes coming into their own with a more contemporary cyberpunk look, rather than an impossible future. It’s reminiscent of Blade Runner’s native film noir style and would be totally acceptable in present-day living. The corporate world is emphasised with the conglomerate companies’ domain in the WTC Twin Towers style buildings, or the Tax Tower, depending on your cultural standpoint. Politically, this shows Japan’s strength in social and political terms. The power of a corporate group over the will of individuals, at times unsettling, but emphasised as the less of two evils in the modern way of Japanese life. The pursuit of information is the key to Solid State Society. 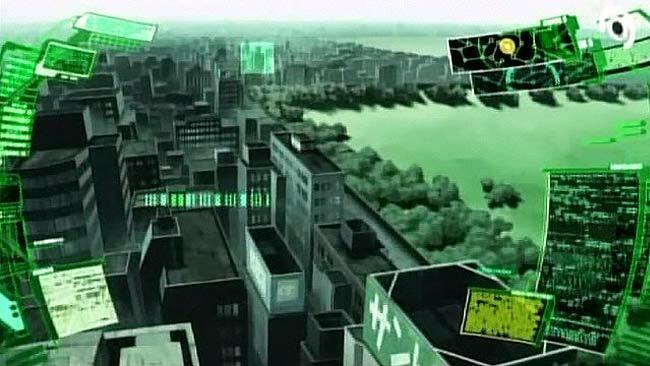 Each character holds information that is necessary to the balance of the future, and Section 9 is after the information to keep a stable balance on their Solid State Society. The Puppeteer serves as a great example of this as the action hots up and we go into techno. overdrive. Fans v. Fansubs: I.G. 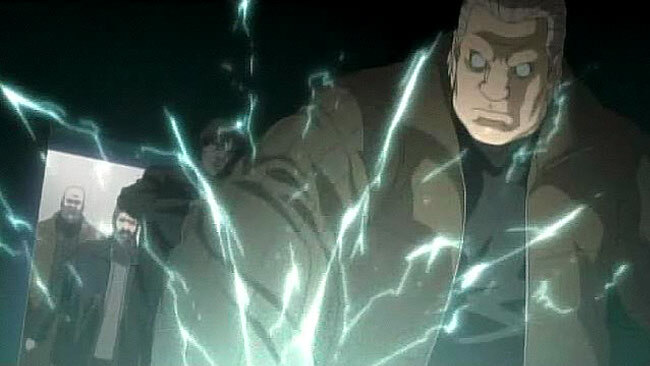 Entertainment, the producers of Ghost In The Shell: Solid State Society have made their film in Japanese, unlike the first Ghost In The Shell film. 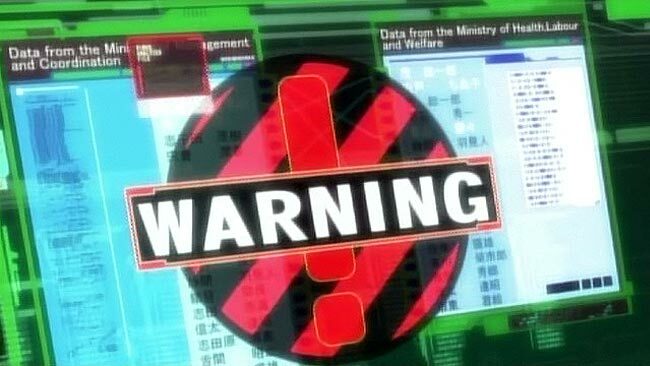 Bandai Entertainment are taking care of US distribution in 2007, but have already made it clear that they will take legal action over any fansubbers subbing the film on the internet. This is quite bizarre, as fansubs don’t make a profit from subbing a film and putting it on the Internet. They only serve, as fans, to spread and promote Anime to English-speaking people; much like a screener is promoted to film bodies for approval. It increases interest in Anime and is nothing more than free promotion. Solid State Society does not yet have English subs, but it’s only a matter of time until a fansub is done. Two days after Solid State Society premiered, it appeared on the Internet. If Bandai hadn’t made an issue of it, it probably would have taken a lot longer for it to hit the net., but now it’s out there for people to see. The subtitles are probably being gloriously translated with devious glee as I speak. 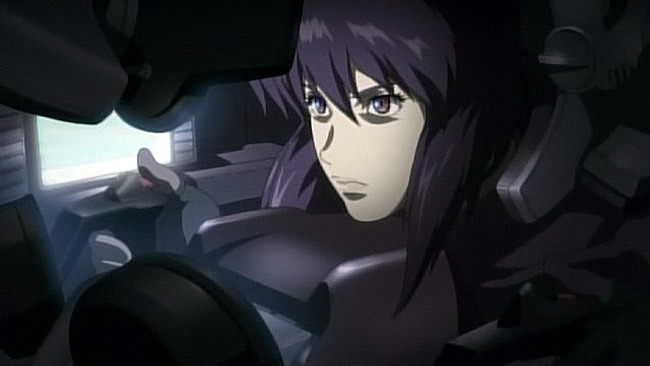 East v. West: If the original idea of the first Ghost In The Shell movie was to introduce Anime to a wider, Western audience backfired – at the time – it has grown in popularity and influence, due partly to its level of style as well as achievements in storytelling; mainly the contrasts between East and West cultures, and how Japan sees technology in relation to human development. Notably the synthesis between man and machine. 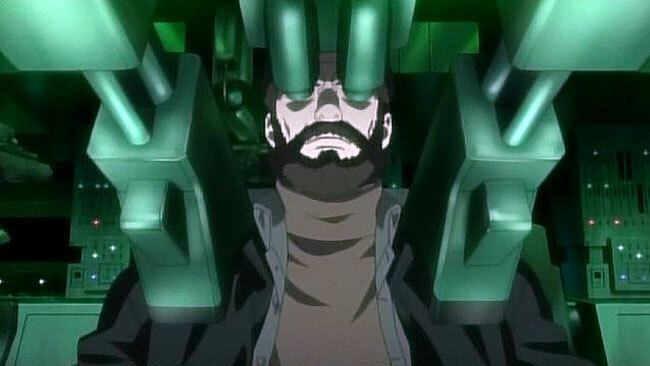 There’s maturity in the themes of Solid State Society that I’ve not seen in any Western cyberpunk films, or indeed, most Anime films to date. 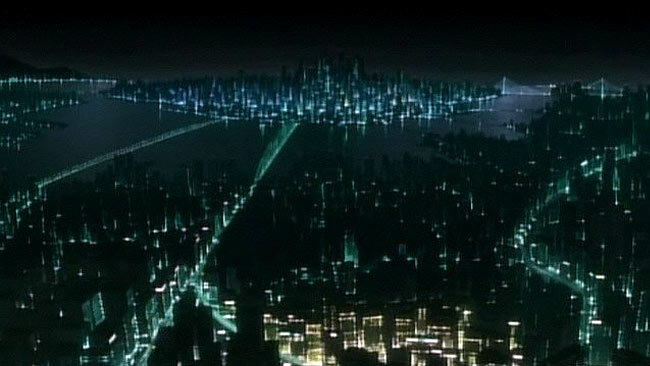 A Post-Matrix World: In part, Solid State Society is an answer, and an antidote to the three Matrix films. 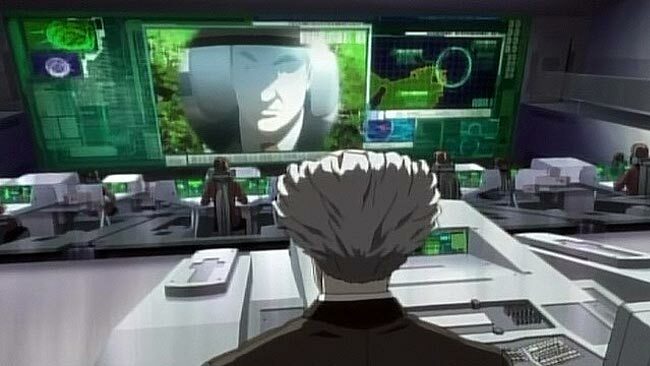 We’ve all seen how Hollywood used the first Ghost In The Shell movie as a template/influence/borderline rip-off, and I’m sure Japan was impressed, but they’re not one to let Hollywood outdo themselves. Instead of letting themselves be influenced by The Matrix’s, they’ve gone in a completely different direction: a logical extension of progress and science fiction – the human element of what it means to have an identity as an individual, rather than as a whole. Instead of “The One”, there is everyone as a team. Very much Japanese efficiency and all it has achieved. 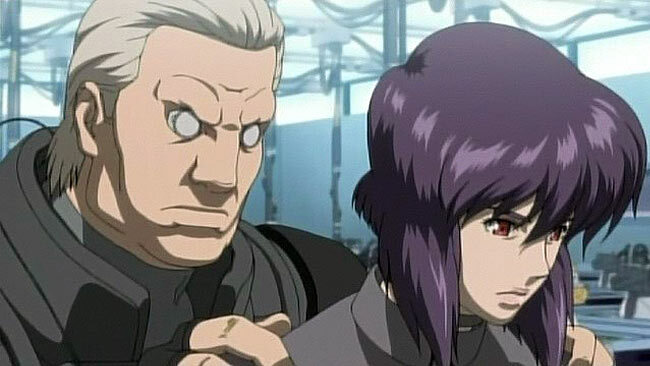 This Is Not The End: Solid State Society is is not meant to be the end of Ghost In The Shell and it’s very much a movie of understated style that is a new beginning rather than a means to the end. 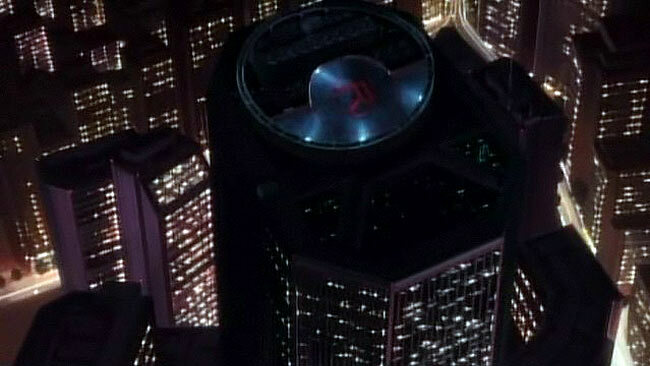 Yes, the slam-bang action and visual splendour and spectacular set pieces are still here, and is set to impress, but it feels different to the movies and the TV series, and in parts comes across in areas that we don’t see in the Stand Alone Complex episodes. 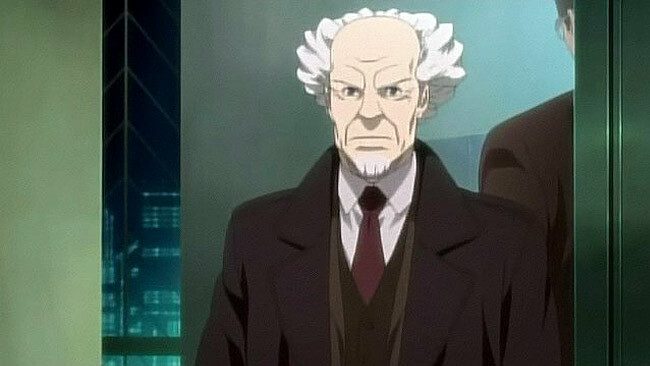 This has pushed Ghost In The Shell into a new direction that is very exciting and is fresh and invigorating to behold. 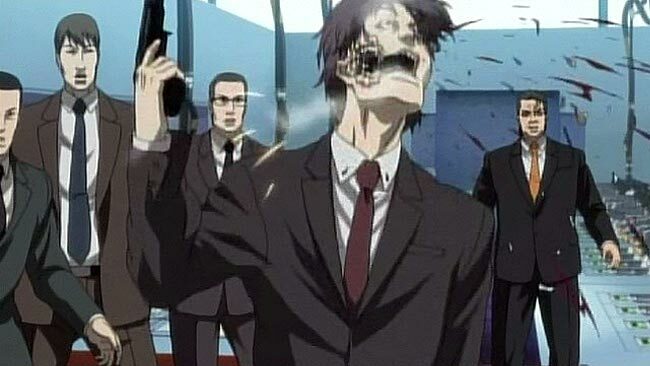 Anime v. Live-Action: When most live-action films – of any country – are all starting to look the same, with blurred CGI sequences, it’s a pleasure to see traditional Anime like Solid State Society stand out from the crowd. No live-action film could replicate this film. It’s not a film that will influence Hollywood, because they won’t “get it”. It’s one, I think that will largely be ignored until it gets the critical attention and acclaim it deserves. Something Old, Something New: As a Stand Alone Complex, it does exactly that. 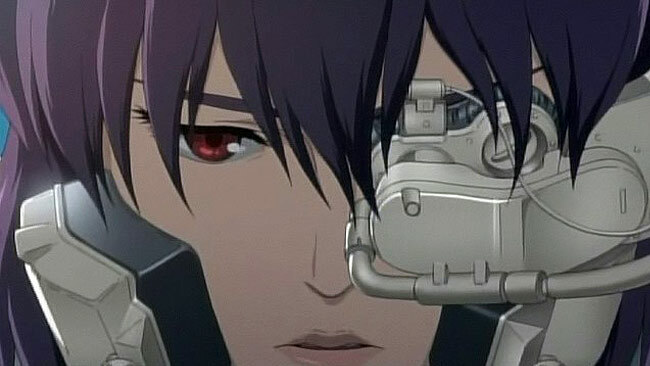 If you’re new to Ghost In The Shell, this movie may perplex you more than entertain you, so I suggest you at least watch the series before watching the movie; to get an idea of what it’s all about before seeing the continuation of ideas and ideals. This is very much a higher level of storytelling in relation to the characters than previous episodes of S.A.C. 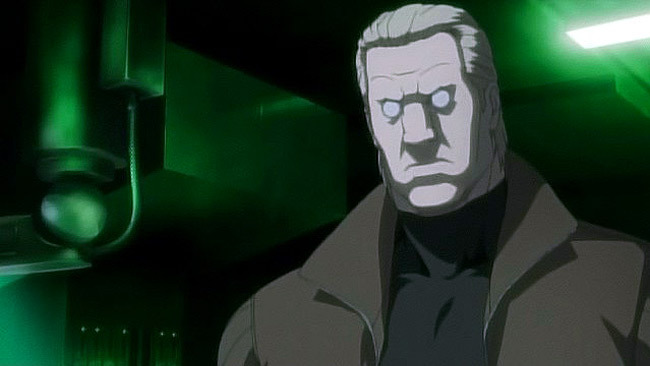 and the GITS movies. 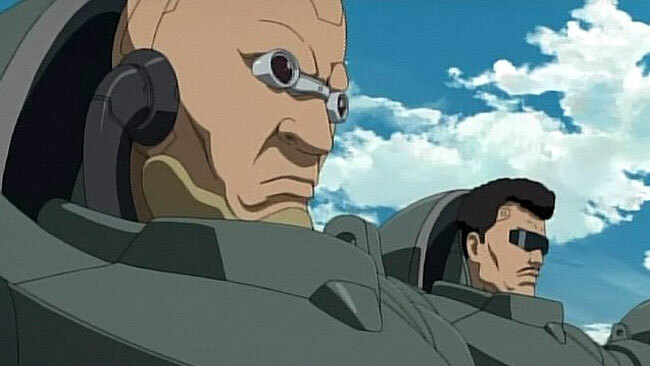 A High Level of Art: The style of animation in Solid State Society is a world apart from the first Ghost In The Shell film, and more a fusion of understated effect than excess, compared to Ghost In The Shell 2: Innocence. We get a perfect blend of the Stand Alone Complex style of Anime in a feature-length form that is nothing less than a revelation in every scene. I cannot emphasise enough how different this Anime is from what has preceded it. I’ve given it 10 stars as it deserves it for the sheer audacity of what it accomplishes in the Anime art form and the world of cyberpunk entertainment. 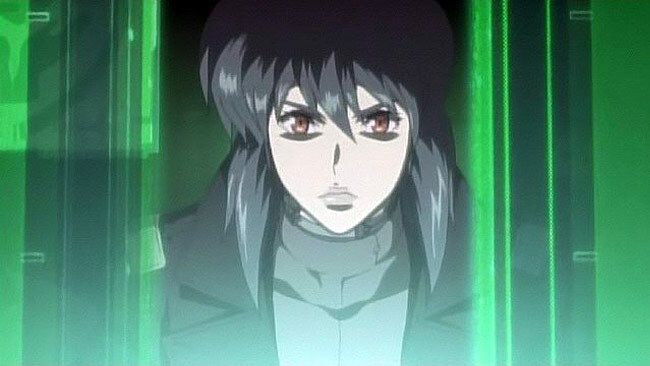 The Bottom Line: If you like the Ghost In The Shell movies, the Stand Alone Complex series, Japanese cyberpunk, or Japanese anime in general, then there are lots to take away from this feature-length spectacular. Solid State Society is a solid piece of entertainment that works on many different emotional and spiritual levels, and I think each viewer can appreciate the many different aspects of human endeavour and emotion that the characters go through. It is a genuine masterpiece that deserves repeated viewings just to take it all in and appreciate its inner-workings. It doesn’t get any better than this, and I doubt it ever will. This post has been filed under Upcoming Movies by Ste McNay.